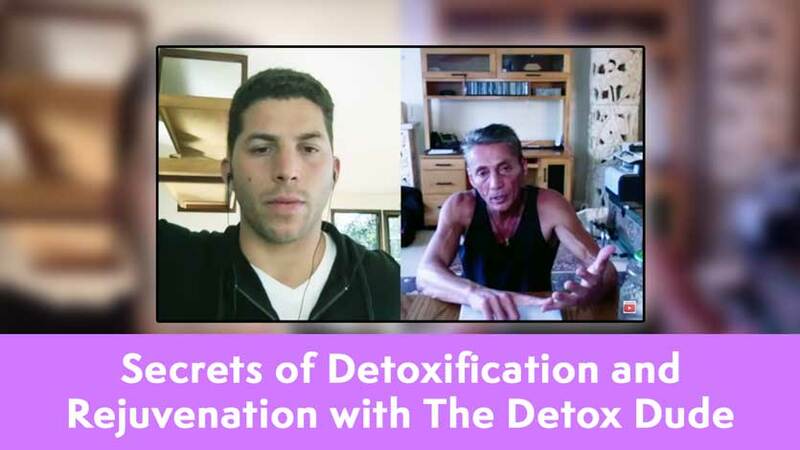 Secrets of Detoxification and Rejuvenation with The Detox Dude – This is an informative interview I did with Josh Macin “The Detox Dude”. We are discussing some of our “Reported Findings “and “Connecting the Dots” in our Sickness to Health Journeys. These types of experiential interviews are very good for people of all levels, who are not only getting started learning how to upgrade, enhance and optimize to a cleaner and smarter lifestyle, but to inspire the average person to learn and practice the Earther Academy “Terrain Modification” protocols, practices and principles. Some topics we will discuss are Intermittent/Block Fasting, Sauna and Distilled Water Therapies, Skin Detoxification and Rejuvenation, Exercise, Massage and Enema protocols etc. These therapies will definitely help to support the removal of the accumulated heavy metals, parasites, toxicity, plastics, chemicals, as well as learning and practicing the correct “Re-Feeding” to rebuild our intestinal flora correctly with Live Ferments, Ketogenic Diets, and the many other essential terrain modification courses and categories to support self detoxification and rejuvenation. I have personally done clinical research and practiced all these protocols, practices and principles, for over 40 years to be able to share this information with you today. Recommended Courses and Categories: Fasting, Water, Skin Cleaning, Detoxification and Rejuvenation, Ferments, Enemas and Rethinking Reality. There are over 50 departments of Terrain Modification to learn and practice, so, baby steps is the key to your success of learning how you can become your own Doctor and Teacher to help yourself.